The growth of sport tourism shows no sign of slowing down. It is now believed to be the fastest growing segment within the travel industry. In our new book International Sport Management, 2nd Edition authors Eric Macintosh, Gonzalo Bravo and Ming Li analyse everything from sport governance to organisational culture to the unique aspects of sport business. In this article we delve deeper into the sport tourism industry to try and find out more about the growth of sport tourism. Cities and nations wager millions to stage sporting events such as a World Cup, the Olympics or the UEFA Champions League Final. In return, cities expect millions more from sponsors, developers and visitors. The estimated size of the global sport industry is $1.7 trillion (Plunkett Research Group). Global sponsorship spending grew 4.6% in 2016 to $60.1 billion, according to IEG, a sponsorship consultancy company (ESP Properties, 2017). According to the UN World Tourism Organisation, 2016 was the seventh consecutive year of sustained growth following the 2009 global economic and financial crisis (UNWTO, 2017). Consequently, 300 million more international tourists travelled the world in 2016 as compared with the pre-crisis record in 2008. Sport tourism has been defined as a leisure-based tourism that takes people temporarily outside of their home environment to participate in, watch physical activities, or venerate attractions associated with physical activities and sport (Gibson, 1998). In 2009, Weed and Bull broadened the definition by underscoring that sport tourism is a social, economic, and cultural phenomenon arising from the unique interaction of activity, people, and place. Consequently, several activities are associated with sport tourism. Sport tourism as an academic discipline has evolved considerably in the past two decades. Textbooks, academic conferences, undergraduate and graduate degree programmes and a scientific journal, Journal of Sport and Tourism, now exist. Given the influence of globalisation in emerging markets, it is not surprising that sponsorship spending in the Asia-Pacific region was the fastest growing of any region in 2016 at 5.7% (ESP Properties, 2017). Similar to the sport industry trends, Asia and the Pacific (+8%) led growth in international tourist arrivals in 2016 (UNWTO, 2017). This growth may be because of the legacy effects of the 2008 Beijing Olympic Games, as well as events in the lead-up to the 2018 Pyeongchang Winter Olympic Games, 2019 Rugby World Cup and 2020 Olympic Games both in Japan. Asia might be benefiting the most at the moment but sport-related tourism is now presenting major opportunities for both emerging and mature destinations (UNWTO, 2016). According to the UNWTO (2016), Eurosport has recently estimated that sport tourism is worth US$800 billion (£610 bn/€710 bn), constituting more than 10% of international travel and tourism receipts. According to the National Association of Sports Commissions (NASC, 2015), visitor spending associated with sport tourism in the United States was $8.96 billion, with 25.65 million sport visitors. Furthermore, sport tourism accounts for 25% of all tourism receipts, rising to as much as 55% in Australia and parts of New Zealand. Sport tourism combines the best and worst of both the sport and tourism industries. Sport is a universal language, involving competition, conflict, emotion and often-entertaining drama. Tourism by its very nature is invasive, involving host-guest interactions and impacts. Usually, sport tourism bring money, pride and entertainment into a city but it is not always about happy tourists and their spending. At times it can lead to crowding, queuing, environmental degradation, fighting, price gouging and resentment by locals. Many sports fans (particularly football fans) are branded as “yobs”. They often leave litter behind and cause destruction. However, this isn’t always the case, the Japanese culture is to leave the place just as neat as they had found it. These positive messages help the growth of sport tourism. Three primary types of sport tourists have been identified: participatory, event-based and celebratory sport tourists. Participatory sport tourists travel to destinations to play sport. They may include golfers playing a round at Royal St. Andrew’s Golf Club in Scotland, skiers at St. Moritz in Switzerland, runners in the Berlin Marathon, or surfers in Bali. Participatory, or active, sport tourists may be elite professionals or rank amateurs; the qualifiers for participatory sport tourists are that they are visitors to the host destination and they are engaged in sport. The concept of active sport tourists has been expanded from a serious leisure perspective, which is explored later in the book International Sport Marketing, 2nd Edition at further depth. Some participatory sport tourists play a dual role in the sport tourism industry. As visiting sport competitors, they require transportation, accommodation and other tourist services, while simultaneously serving as the attraction for event-based sport tourists. Event-based sport tourists are those who travel to a destination to watch others participate in sport. Examples of sport events witnessed by tourists (and researched by scholars) range from A to Z: America’s Cup to the Zagreb Open tennis tournament. Consider the Little League World Series (LLWS) in tiny Williamsport, Pennsylvania, USA. Held annually in August, the LLWS is the pinnacle of athletic achievement in baseball for boys up to 13 years of age. Teams from around the world compete in round-robin and elimination play, attracting over 500,000 spectators and live television coverage worldwide on ESPN. Lodging accommodations are sold out within a 60-mile (100 km) radius of the city. The athletes, coaches, and officials are participatory sport tourists to Williamsport for the 10 days of the LLWS. 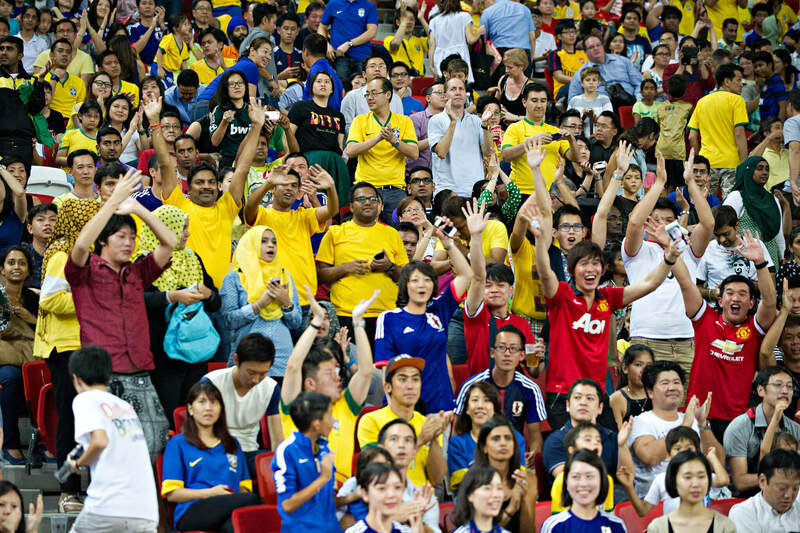 Parents, friends, and relatives of the participants are event-based sport tourists. In European football leagues, teams play at home and away every alternate week, those who travel to away games can be considered ‘day trippers’ or ‘excursionist’ event-based tourists. On a larger scale, you could look at the British Open Golf Championships, which is played annually but spread across 10 locations. In 2014 it was hosted at Hoylake in Liverpool and it brought in £75m extra to the city (Shibli, 2015). This is because tourists from all over the world came to Liverpool and the Wirral. Celebratory sport tourists travel to destinations to visit halls of fame, museums, stadiums and other places of remembrance. Numerous celebratory sport tourism attractions exist. Thousands of people each year pay their pounds to tour an empty Wimbledon Tennis Centre. The National Olympic Stadium of the 2008 Beijing Games, known as the Bird’s Nest, has become a regular stop on domestic tourist itineraries and will host the opening ceremony of the 2022 Winter Games. The Camp Nou, home to FC Barcelona attracted 32 million tourists in 2017. This came from football games but also the very popular tours they offer. The club estimates that 10,000 of its 78,000 average for each weekend league game are one-off visitors from outside Spain. Announcements on the public address system are in Catalan and there’s a welcome in English, but not Spanish. A packed Camp Nou to watch FC Barcelona play in the UEFA Champions League. The Basketball Hall of Fame in Springfield, Massachusetts, USA attracts 250,000 visitors each year, of which 20% are from outside the United States. The Hillerich & Bradsby Company, makers of the iconic Louisville Slugger baseball bat, receives 300,000 paying visitors annually to see the manufacturing process in its factory. Table 22.1 contains examples of sport halls of fame and sport museums from around the world. Holmenkollen Ski Museum in Oslo, Norway. Constraining factors may limit a person’s travel behaviour to participate in a sport tourism activity. For example, event-based tourism is often associated with overcrowding and price gouging, whereas for active sport tourists the constraints may be closely related to fitness and health. (Hinch et al.) highlight that participation in nostalgia sport tourism may be limited by a lack of awareness or a limited supply of such opportunities. External constraints include a lack of time and money, geographical distance and a lack of facilities, whereas internal constraints refer to factors such as personal capacities, abilities, knowledge, and interests (Francken & van Raiij, 1981). Economic impact – Is it worth it? Economic impact studies are one of the most common forms of evaluating sport tourism events. Despite their widespread use, sport event economic impact research has been met with growing scepticism. In a study conducted on all the Olympics Games from 1964 to just before 2016, the most expensive Olympics was the Sochi 2014 Winter Olympics at $21.9 billion. The cost overrun for Sochi was 298%, compared with the second highest cost overrun for the London Games at 76% (Flyberg, Stewart, & Budzier, 2016). Mega-events are bid on primarily for the expected value added to the host city. An economic impact study essentially measures how much value the event adds to the city. Put another way, what would be missing from the economy without the event? A sport tourism event’s pull, or drawing power, is measured by its ability to attract nonresidents and induce consumer spending at and near the event venue (Yu & Turco, 2000). Visitors drawn by a major sport event may displace others who would have visited but did not because they could not secure accommodations or they were not willing to deal with the crowds attracted by the event. Other tourists and residents avoid the mega event or are priced-out, so the host city loses money that would have otherwise been spent. Crompton (2006). For example London 2012 was seen as a success drawing huge crowds, however, London in the summer always has huge crowds. In fact, many potential visitors may have been put off visiting London due to the congestion associated with the Olympics. So yes, there were lots of visitors but were there really more than usual? How much does the average sport event tourist spend per trip? The answer depends on the nature of the sport event, the spectator market, and the characteristics of the host economy. Where sport tourists live in relation to the host economy and whether they are first-time visitors influence their spending. Event visitors from communities nearer the host economy typically spend less money than those from greater distances. (Tang & Turco, 2001). Greig and McQuaid (2003) conducted spectator interviews at two one-day rugby international matches in Edinburgh, Scotland (Scotland versus England and Scotland versus France), to estimate the economic impact on the region and city. The study revealed that the origin of spectators differed between matches, naturally reflecting the origins of the visiting teams, and a clear association was found between the distance spectators came to watch the match and the amount they spent. The prestige of a sport tourism experience as perceived by the sport consumer also influences the size of the visitor group and their spending. The rich and famous are usually only seen at major events such as tennis Grand Slams, World Cups, prestigious F1 races, ringside at mega fights etc. Competing in a world championship is for most a once-in-a-lifetime opportunity, and such events often attract large numbers of spectators who are relatives or friends of the athletes. The Olympic Games and world cups are the most prestigious events in the world for the sports they cover because of their global nature, scale and frequency. Grand Slam events in tennis (Australian, French and U.S. Opens and Wimbledon) and golf (Master’s, British and U.S. Open and PGA Championship) are more prestigious than other events. History, prize money, media coverage, scarcity and the field of competitors influence perceived prestige. The growth of sport tourism at these events continues to spike and shows no sign of slowing down. The composition of a tournament field and its “star power” influence the media attention, gallery size and economic impact. An annual event such as the U.S. Open golf championship may experience significant fluctuations in attendance, spectator market segment proportionality and spending from year to year. A case in point is what became known as the Tiger Woods effect, whereby weekend ratings were 58% higher in tournaments in which Tiger played (Sandomir, 2008). Sport tourism continues to grow all over the world, developed nations are seeing growth as are many developing nations, especially in Asia. The main constraints appear to be money and time but as the world becomes smaller and richer there are greater opportunities. As the world has become more health savvy participatory tourism is also growing. Event-based sport tourism involves sport participants as the focal attraction and typically, spectators, some of whom may be visitors to the host city. Most research on sport tourism involves megaevents in developed countries, but the body of knowledge about developing countries is growing because of the increasing proliferation of these events in recent years. Sport event tourism managers in developing countries, including central European countries new to democracy, market-driven economics and sport governance systems, may face unique challenges. Some sport events appear to attract high-end consumer groups because of the relative cost to entry (e.g., America’s Cup yacht race, Masters Golf Tournament, Singapore Formula One) and others attract more thrifty visitors (Yu & Turco, 2000). As a general rule, you can accept that per day and per capita spending would be higher among spectators and participants who attend upscale events, but this is not always the case. The majority of this information is taken from the new book International Sport Management, 2nd Edition. The 443-page textbook has six parts. It covers globalisation and emerging trends in part one. International Sport Management, 2nd Edition also covers governance. This includes sport federations, anti-doping/ethics, professional sport leagues and tours, youth events and festivals. Part four covers management essentials such as intercultural management and the importance of human resources. Macroeconomics and the business of international sport are also discussed. Part five talks further about the growth of sport tourism as well as digital media, fantasy sports and marketing including branding. The sixth and final part looks at corruption in sport, corporate social responsibility and looks into future agendas. Gym marketing – 6 affordable, proven tips to stand out. How to make money and grow your personal trainer business.